GitHub launched the GitHub Marketplace last year. A developer-focused app store felt like a supremely weird turn from GitHub, but it’s managed to turn it into a roaring success, attracting products from the likes of Travis CI and ZenHub. Now, the company is celebrating its first anniversary by opening the marketplace to even more developers. GitHub is allowing anyone with a free product to list their app on the marketplace without having to pay for the pleasure. The GitHub Marketplace currently boasts 100,000 users, and contains 50 different tools, all designed to help developers improve their workflow. Opening the playing field to more players is a surefire way to grow those numbers. It’s in GitHub’s best interest, too. By allowing users the flexibility to use third-party services, it maintains a competitive advantage over rival products, like Atlassian’s Bitbucket and Gitlab. 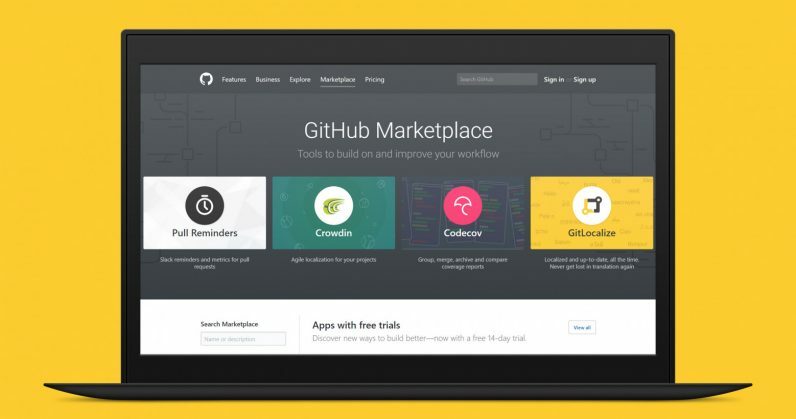 This move is the latest taken by GitHub to grow its marketplace. In April, it started to allow users to onboard themselves onto the platform, rather than wait for manual approval. It has also introduced free trials of paid applications, allowing developers to use an app for 14 days without having to pay. According to GitHub, these can increase revenue by 43 percent for developers, and free trials now account for 60 percent of the marketplace’s total revenue.